With the announcement of OpenMW version 0.39 around 5-6 months ago, some users booted their game up to find an unpleasant surprise - shiny rocks. But they were told that this wasn't a bug at all. Everything was working as intended. So what led to this? 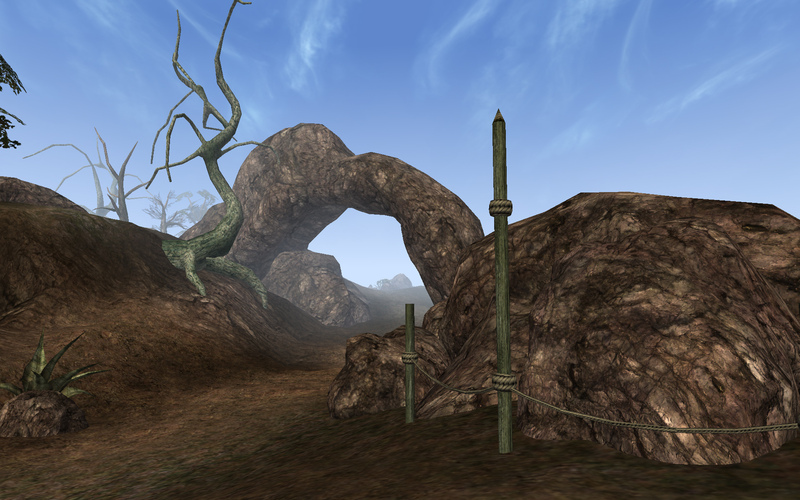 Morrowind was initially released in 2002, a time when texturing techniques were not as advanced, and there were no normal maps. As years went by, the community created more and more complex mods on an engine that was frozen solid to the state that it started with a decade ago. At a certain point, the methods began to exceed engine limitations and newer technologies simply couldn't be applied anymore. Since the Morrowind engine isn't open source, it's not like someone could just edit the code and update it to modern standards. But what they could do is essentially "hack" the engine by datamining for information and make code injectors. 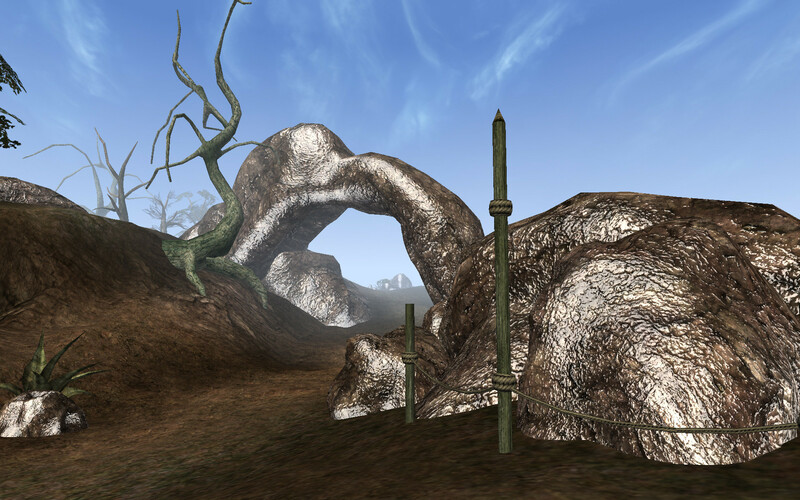 This spawned the loved MGE XE distant lands, Morrowind Script Extender, and, last but not least, Morrowind Code Patch. While they have served the community well, they've also produced some unwanted side effects such as crashes, instability, memory leaks, and strange methods of texturing. The latter in particular is caused by Morrowind Code Patch, and is also the reason for our shiny rocks. MCP enables a sort of "fake" bump mapping by using an environmental map to give textures the appearance of being bump-mapped. But no other engine does it this way - and if you were to port a "fake" bump-mapped mesh into Unity engine, Skyrim, or OpenMW, a shiny weird-looking object is what you would get. So what do we do with these shiny rocks? Do we throw them out? No! Fortunately, they can be redeemed, and we now have Lysol's detailed and comprehensive guide to lead you through the process. Most bump maps can be fixed with a few easy steps that even the average player with no modding experience can handle. But only the author of a mod reserves the right to upload their content, so any user who wanted to play your mod would have to repeat the same process. If you are an author, I encourage you to take a little time to update your mod to OpenMW. Or if you're short on time, post on our forums and give permission for users to update it and see if someone picks it up. Let's rid Vvardenfell of those shiny rocks! I don't know how it looks in game as I haven't booted it up in a while, but from the pic those shiny rocks actually look pretty awesome. claudekennilol wrote: I don't know how it looks in game as I haven't booted it up in a while, but from the pic those shiny rocks actually look pretty awesome. They don't if you actually play the game with them. Unless you think rocks made out of plastic look nice. The second picture has the normal maps displayed like they are meant to be displayed. You don't really see normal maps on still images since they are dynamic, but while playing the game, the rocks like they are displayed in the second picture look great. I must admit that the first image looks quite nice. A modified version of the shiny rocks would be suitable for a Shivering Isles revival or something like that. Oh no, I wouldn't want to just play with them like that. If left as is in that picture they'd be horribly out of place. Everything else would have to be modified to fit with that look. More like silver I'd say, since gold only reflects light in a gold colour. I'm actually thinking of learning how to do this type of environment map just so that I could get a nice polished sword look on the claymore I'm working on. I'll have to see if it looks good or not first. It's funny that people who install old landscape textures on the new Skyrim SE experience almost the same effect - and even for a similar reason. The SE changed the way normal maps work on terrain and makes opaque normal maps appear shiny, just as they already did on meshes before. The solution is quite simple if you know what to do (just make them almost transparent), but for people who haven't worked with textures before it can be a problem. Anyway, great post and thanks for the Tutorial, Lysol. I'm sure it will be useful for many people (including myself if I ever get to update my mods and make proper normal maps for them). Pherim wrote: Anyway, great post and thanks for the Tutorial, Lysol. I'm sure it will be useful for many people (including myself if I ever get to update my mods and make proper normal maps for them). Thanks DestinedToDie, now we have something to point to the next time someone asks that "why is everything shiny" question again. However, the article doesn't mention this is only an issue for certain third-party mods, not the vanilla game itself, this might be confusing to a casual player. Btw, I considered the option of adding a "MGE-compatible" bump mapping mode to OpenMW, but it would turn into a real mess if you have some mods that were made for the old engine and then at the same time have some mods that want to use real bump maps. And IMO, the MGE method doesn't look that pretty anyway, the environment map just overbrightens it.